This coffee will be fresh roasted for you. 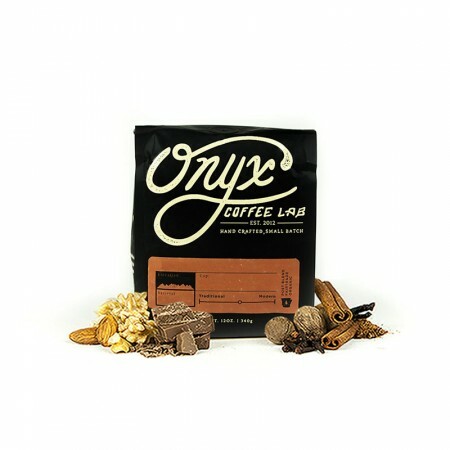 We expect Onyx Coffee Lab will roast and ship this coffee in 1-2 business days depending on their roasting schedule. The Colombia La Plata was carefully roasted for you by Onyx Coffee Lab. This fully washed coffee was grown by the various small holder producers in the Huila region of Colombia between 1,600 - 1,850 meters above sea level. Enjoy the mellow, balanced cup with notes of pecan, vanilla bean and soft lemon zest acidity. Solid Colombia here. Very sweet and smooth using the Bee House and a 1:16 ratio. Though I hate to use this word, it's very "drinkable". Not vibrant and attention-grabbing but subtle and enjoyable. Onyx always gets it right. A nice and clean cup of coffee, drinkable and fresh, but not memorable in any way. Slightly disappointed with this one. The nuttiness mellows out the acidity just enough to where you catch both of those flavors, but it still end up being sweet. I had difficulty picking out the exact notes that were listed but I'm certain that's my pallet and not the coffee itself. Next I'd like to try something with a similar profile, but maybe from a country I haven't tried. By that I just mean out of Colombia and Ethiopia. Those two countries have some of my favorite coffee's but I'd like to see if there's more out there like it. We are enjoying the notes and acidity of this coffee, but we've been unable to brew it to the strength which we are accustomed to drinking. We would love some brewing recommendations to maximize the flavors. Anyways I enjoyed the Onyx Colombia La Plata, but I found it a bit too citrusy and i'm not sure if this is the right way to say it but I felt like it gave a strong initial flavor but it went away super quick. Bland and largely flavorless. No noteworthy notes or flavors. I've tried brewing with 4 different ratios of coffee to water and can't find one that brings out anything other than bland. A really nice Huila. I get sweet caramel, chocolate malt, and red fruit. Mellow, but with some welcomed sweetness and flare. Definitely a lot of flavor. The lemon definitely comes through. I have a harder time picking up the pecan. I'm very interested in the next few choices because this flavor is my style. We'll see what can top it. I've brewed this three times now; twice in a Chemex and once on the v60 02. I'm probably still going to try it as espresso and as an aeropress. I get a lot of almond and sweetness in the aroma, almost like marzipan, and the taste seems to be mostly chocolate and nuts. There's a little bit of lemon acidity there that seems pretty simple, but nothing to write home about. I like the bitterness, which is balanced with the sweeter chocolate flavors and the aftertaste is pleasant and lasting. I think a 16:1 ratio is pretty fair, as the cup tastes balanced. I would recommend this coffee as great for after dinner, especially with chocolate or another dessert, but maybe not so much for breakfast, where I prefer a brighter, more complex cup. The aromatics of this coffee were absolutely delightful! The flavor was pleasant and enjoyable; however, it was slightly a 2-dimensional coffee. I am typically interested in a more floral and fruity cup, this was beneficial in the expansion of my habits. You can tell this was roasted very well. I brewed mine using an AeroPress and found the coffee to be very nutty in aroma and in taste. However, after trying this coffee some more, I lost that nutty taste. Perhaps it was a quaker that produced that overly nutty flavor. I've never particularly been a huge fan of Colombian coffees before. Not for any particular reason, I guess I really just hadn't been exposed to many. I really appreciated this one, though. I could very easily pick up on the vanilla bean notes at first. The further into the bag I got, the more I could pick up the lemon zest, which my wife was able to pick up right away. This one was definitely a winner and I look forward to tasting more from Onyx. I brewed this in a V60 and a Chemex. Very good. It smelled wonderful when I opened it. I got that rich sort of nutty fragrance. I don't know if I'm using the right word but the flavor was very good but a little "bright" for me. The reason I am not a fan is because I like coffee without, what I'll call, distractions. I felt like the lemon zest was a little over barring on the other aspects of the flavor profile. This may be perfect for someone else, however it wasn't my favorite. Strong example of modern-style light roasting. Nutty and sweet. Although not necessarily a detriment, I found it to be very mild and, even in french press, low acidity. Onyx Coffee Lab roasted a fine bean, and I'm sad that I finished the bag. I enjoyed this blend quite a bit. I have heard a lot about Onyx and enjoyed this roast, but did not get some of the tasting notes that their roasters got from it. It was a good roast, but I have had better. Very much enjoyed this coffee. The notes green apple provides a crisp tart but is followed up with notes of nuttiness and sweetness. Makes for a very enjoyable cup! it's very smooth and has a mild acidity, but I would have liked it to be a bit more flavorful. Very balanced coffee, with a woody start and a long, even finish. If there's a critique here, it's that it's a little too laid back - there's a creaminess that's appealing, but it doesn't really hit any of the sweet fruit notes I think of with the very best. The aftertaste is a bit like tobacco. A little nutty with a subdued lemon note. I noticed and enjoyed the flavors more when brewed hot than iced, but it still made a great iced coffee as well. Really great brew. Deep, complex flavors. Smooth, lingering stonefruit acidity anchored to a rich, vanilla base. Another homerun by Onyx. it may be the way that i am brewing it (with a cloth filter) but this coffee doesn't have quite as strong fruit flavors as i would like. still, it's excellent, of course. clean, and smooth. Very balanced. I'm not a huge fan of nutty or chocolate tasting coffees. Brewed with a Chemex, presents a satisfyingly clean and balanced cup.